I LOVE your take Luccia! And the children’s input is priceless! Such a beautiful story. Let’s hope the cranes do their work. Love from teacher to child and back again. A beautiful picture well portrayed. I too love talking with my grandson. It’s so easy to learn from his honesty. Thank you for visiting and commenting, Susan. I agree, it’s such a privilege to be a grandparent. Have always loved that idea of the origami cranes for good luck. Wonderfully evoked in your Flash! Thank you, Liz. I must admit I found out as a result of researching for this week’s Carrot Ranch challenge, but it is a lovely idea. Carrot Ranch had brought me to new research areas in search of a clear Flash, too! I adore your grandson, Lucy! How fun to involve him in a Sunday ritual of story writing. He’s smart — yes, the birds have long necks like the equipment! You flash reminds of how much a beloved teacher can mean to a group of children. A sweet story. And I enjoy the artwork! Thank you, Charlie! I’m enjoying your prompts too! A very interesting tale, Luccia. 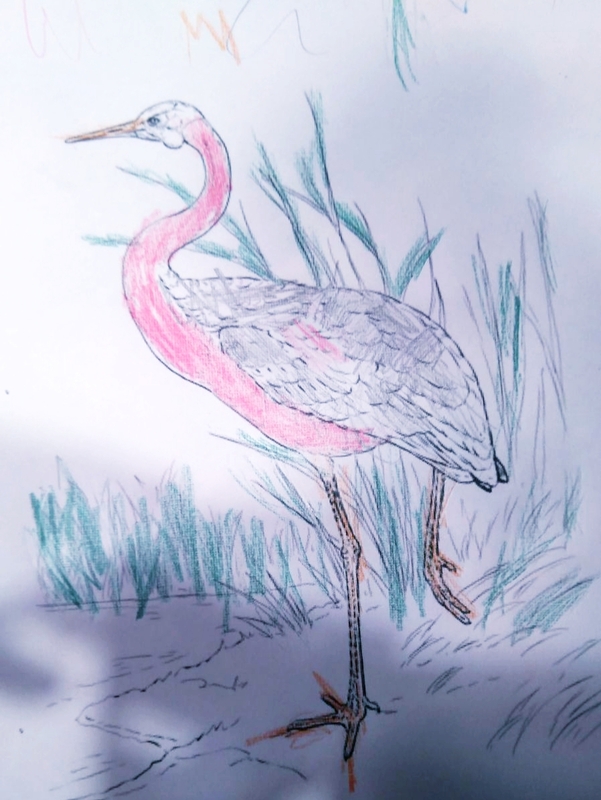 I did a similar thing for this prompt; I looked up the blue crane and found an interesting Xhosa tradition that I used as a base for the flash. Thank you. I think I read yours. I’ll check it out just in case I missed it. What a lovely story, Lucy, and I don’t think it’s sentimental at all. 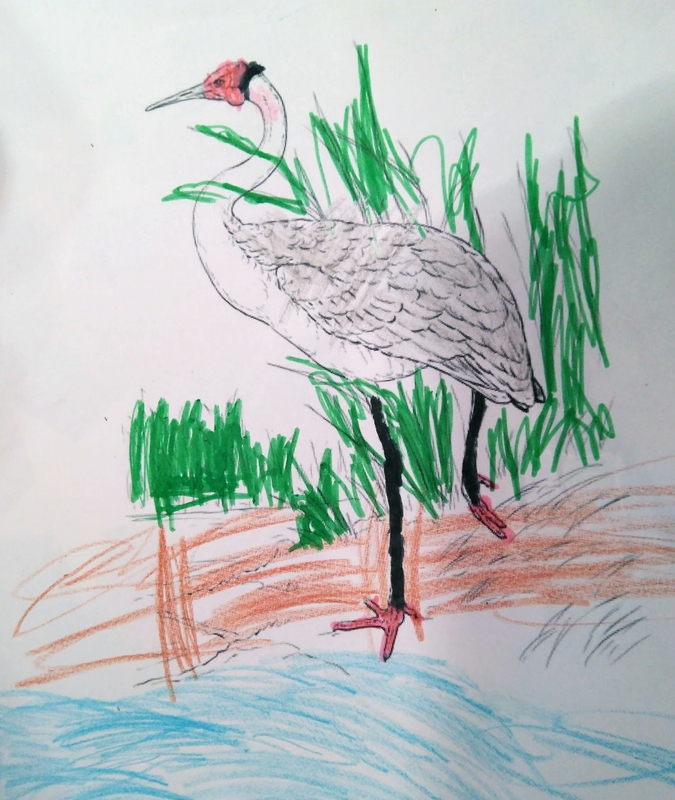 Love your grandson’s input too – and the sketches. All in all a fabulous post.